One of Wisconsin’s longest family owned dealerships established in 1924. We carry all makes and models of Chevrolet and Buick vehicles. Voegeli Chevrolet Buick is open 6 days a week and two evenings to meet your needs. Stop in anytime to see our excellent selection of fine New Buick and Chevrolet automobiles. Let our friendly, knowledgeable, staff assist you in making a smart new car purchase today! Voegeli Chevrolet is proud to have three ASE certified technicians who are able to fix any problem that may occur with your vehicle. We also have a large parts department for the “do it yourself” people. 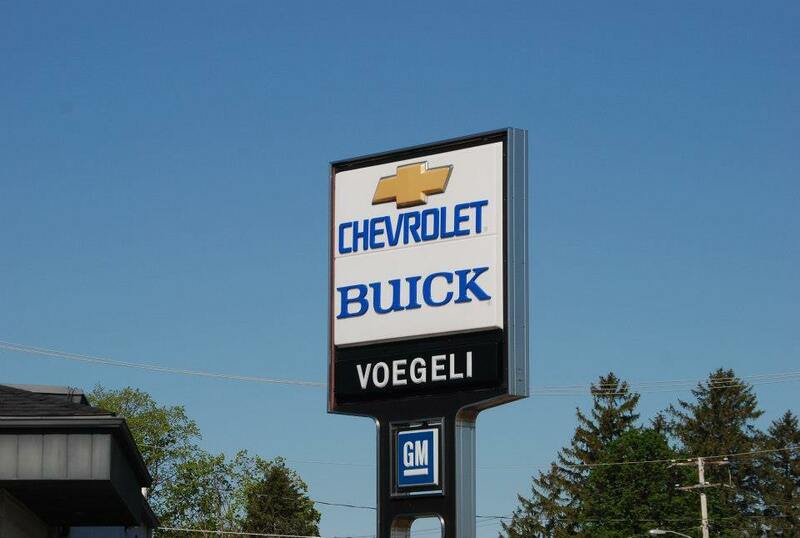 Call or stop in at Voegeli Chevrolet Buick on Main street in beautiful Monticello, Wisconsin today to get personalized service at small town prices. Get behind the wheel of the 2011 Chevrolet & Buick models today!